CENTRAL Bank purchases figured highly in overall gold demand last year but investment interest in gold as indicated by bullion-backed exchange traded fund (ETF) buying waned, except in the final months of the year. This is according to the World Gold Council’s annual report on demand trends in which it also said that annual gold in jewellery demand was flat whilst retail demand increased. “Gold demand rose in 2018 and, although the US dollar gold price was down 1% over the year, it outperformed many other financial assets,” said Alistair Hewitt, head of market intelligence at the World Gold Council in an announcement earlier today. “Worries about a slowdown in global growth, heightened geopolitical tensions, and financial market volatility saw central bank demand hit its highest level since Nixon closed the gold window in 1971, the volume of gold in European-listed ETFs reach a record high, and annual coin demand leap 26%,” he said. 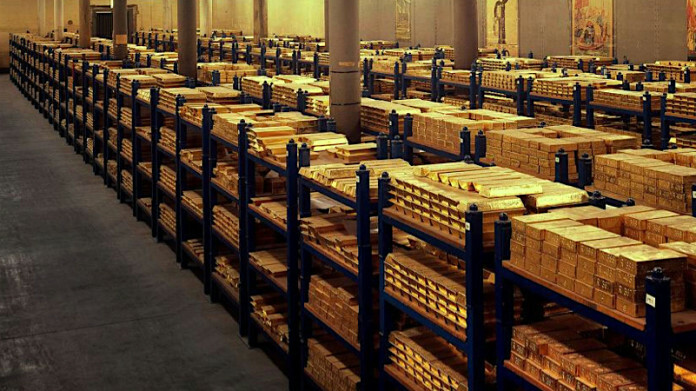 Central banks added 651.5 tonnes to official gold reserves in 2018, up 74% on 2017 and the second highest yearly total on record. Net purchases jumped to their highest level since the end of US dollar convertibility into gold in 1971, as a greater pool of central banks turned to gold as a diversifier. Annual jewellery demand was steady at 2,200t, down just one tonne from the previous year. Gains in China (3%), the US (4%) and Russia (9%) broadly offset sharp losses in the Middle East, where demand dropped 15% on 2017. Indian demand was stable at 598t, a drop of only 4t from the previous year. ETFs and similar products saw only moderate inflows of 68.9t during 2018, down 67% on 2017. Stock market volatility and signs of faltering economic growth in key markets fuelled a recovery in Q4 2018, with inflows growing to 112.4t from 32.5t in the same period last year. However, Europe was the only region to see net growth over the year as a whole. The total supply of gold grew marginally by 1% in 2018, up from 4,447.2t to 4,490.2t. This growth was supported by similar year-on-year increases in mine production – to a new record high – and recycled gold, said the World Gold Council.